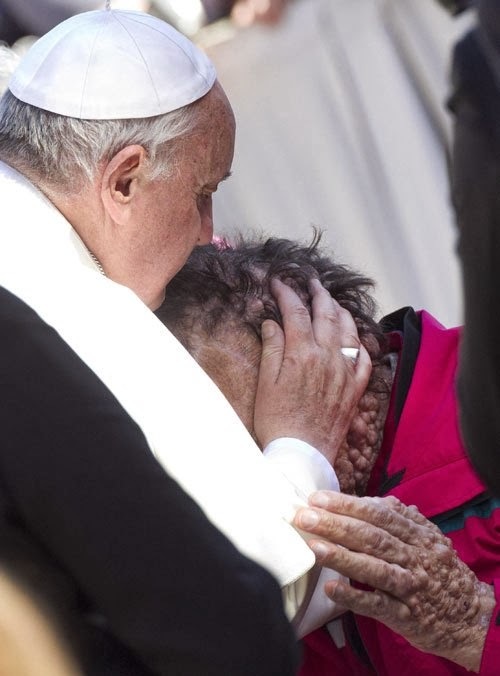 This entry was posted in Literature and tagged Catholic, charity, compassion, faith, faith without works is dead, Love one another as I have loved you, Pope Francis, St. Francis, suffering. Bookmark the permalink. So what would happen if the govt can change it? Ashi–You have said so much and it is indeed all so complicated, disheartening and formidable from a strictly human standpoint and in human terms. Yet somehow my faith remains; I feel its power to raise me up to do the often very difficult but right and loving thing for lives in the crux of pain and suffering. Literature, for you and for me, has this seemingly divine transcendent power to lift us out of ourselves, to empower us, strengthen us and to make our survival possible by extending our hands and hearts to others. Thank you so much for your thoughts and suggestions. They lift me up. I just read a post decrying the inhumanity in the world (notably, North Korea, Iran, Egypt). Thank you for your post. It amazes me how a photo of one man (ok, a very public, powerful man, but still one man) committing one positive act can make me throw my arms around faith in humanity and hold on tight. Very powerful image, yes. It says it all for me. Embrace, comfort, ameliorate the actual lives of those who are suffering–directly. Don’t leave it to agencies, governments or charities. Each one of us can do something very important in this regard in this way every day of our lives. To recoil or run away from alarming or “dirty” situations or to just drop a check in the mail to an impersonal organization seems to me to be a cop out, a denial of our real responsibilities and in a sense a denial of our humanity. “Faith without works is dead.” Thank you for affirming this and taking the time to offer your remarks here.